OLIVIA BLOCK and JULIA HOLTER's Outer Ear Residency culminates in a premiere performance at the ethereal May Chapel in Rosehill Cemetery. Whenever the Breeze is a sound world by Olivia Block and Julia Holter that weaves together fragments of voice, instruments, field recordings of wind and water, and bells. Whenever the Breeze combines text from a medieval troubadour poem (Whenever the Breeze Blows) and contemporary weather-related news clippings, creating layers of meaning through immersive sounds. Julia Holter: Voice, organ, text and arrangements. Olivia Block: Live electronic processing of voice and microphone, field recordings, arrangements. Featuring Tim Daisy on percussion. OLIVIA BLOCK is a media artist and composer. She creates scores for orchestra and chamber groups, studio-based sound art compositions for releases and concerts, site-specific multi-speaker installations and sound design for cinema. Her compositions include field recordings, amplified objects, chamber and orchestral instruments, and electronic textures. She performs her pieces for inside piano, pipe organ, amplified objects, shortwave radio, and many other sound-making materials. Feature articles about Block have been published in The Wire, NPR’s Morning Edition, MusicWorks, The Chicago Reader, Fluid Radio, and many others. Block tours internationally and resides in Chicago, IL. Her latest LP release, Dissolution, is currently published on Glistening. Listen to some of Olivia's work here. 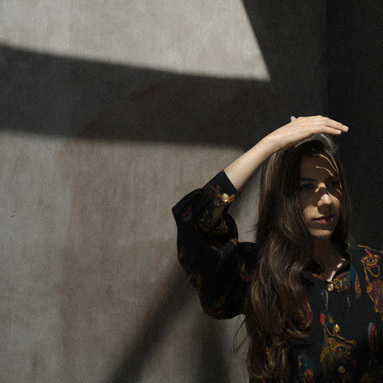 JULIA HOLTER is a composer, performer, and recording artist based in Los Angeles. Her interest in the mysteries of the sonic atmosphere has compelled her to record in various settings--in her home, outside with a field recorder, and in professional studios—as well as to perform live, often with a focus on the voice. Listen to some of Julia's work here and here.